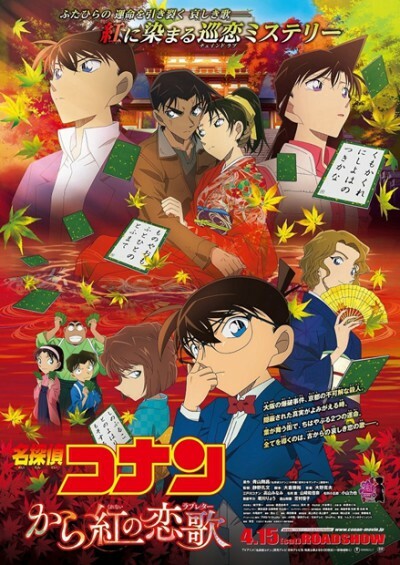 The film will be a love story set in Osaka, and it will feature Heiji Hattori and Kazuha Toyama. The visual shows Momiji Ōoka, a high school karuta champion who refers to Heiji as her future husband and is a romantic rival for Kazuha. She appears in the manga for the first time in the 91st compiled volume, which shipped on December 16 in Japan, and this will be her first anime appearance.